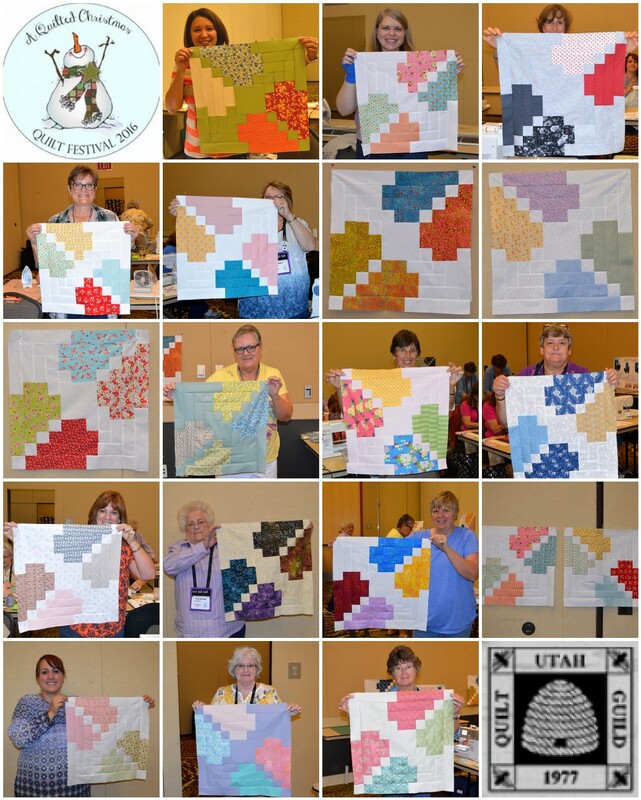 So I mentioned in my Ruby Jubilee Braided Irish Chain post last Friday, that I had had the wonderful opportunity to travel up the I-15 last week to teach at the 2016 Utah Quilt Festival!!! This was my first time teaching at this amazing retreat and I had such an amazing time!!! I taught 3 classes that were just full of amazing women. I know I have said it before, but I just love the opportunity to teach and be with so many wonderfully talented people who share my same passion. That evening, I got to teach my Wonky Irish Chain pattern. This class was a little smaller and turned out to be a family affair as half of the gals in the class were quilting with a family member. That was just so fun. One of the students was their with her mom and it was her first quilting class. 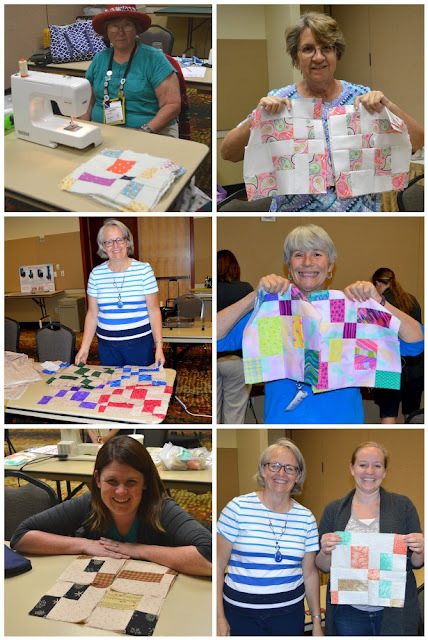 It was just so wonderful to see everyone help her along and teach her all of their little quilting tidbits. It really just warmed my heart and made me realize how Happy we all are when Quilting!!! And the next morning I was able to teach my Petal Pop pattern. This was another full class, and they all did amazing!!! Almost everyone in the class finished their first block and several got more finished as well. This is one of my favorite classes to teach because the block is built a little backwards then you would assume, so it is so fun to see when it "clicks" with everyone and then they realize just how easy it is to whip up ;) Love it!!! I just love, love, love teaching!!!! It is such a blessing to be able to share this passion for quilting with so many amazing women :) It really is just an amazing Happy Quilting time!!! This gives you a little idea of what class was like ;) Lots of amazing students sewing away, and beautiful blocks surrounding the room as everyone finished up their blocks. Isn't that so fun to see them lining the walls!!! Very Cool! I need to make another quilt from your Book. Ruby Jubilee Braided Irish Chain!!!! Splendid Sampler Back To School Bonus Block!!! 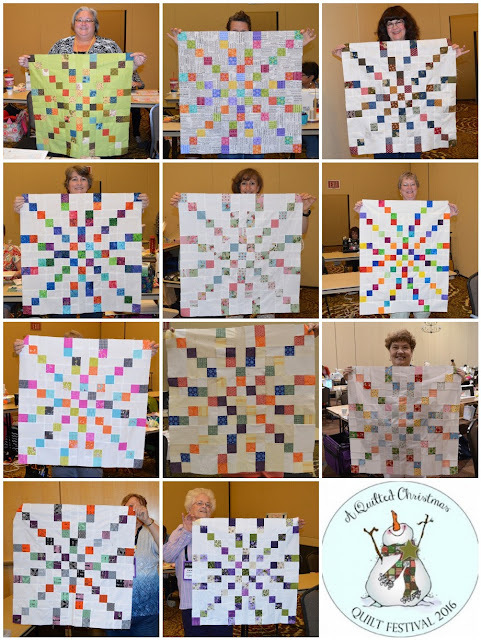 Picket Fences Quilt from the Jolly Bar Book!! !